San Francisco-based Twilio, which provides phone and text-message services to app developers, has priced its much-anticipated IPO at $15 per share. Twilio is now valued at $1.23 billion, beating the company’s last private valuation of around $1 billion. That’s an important milestone for the dozens of privately held “unicorn” startups nervously wondering whether their valuations of $1 billion or more will translate to the public markets. Twilio had previously said that it expected to price the offering between $12 and $14 per share, so it’s already exceeding expectations. Silicon Valley is watching this deal closely. Twilio is the second overall tech IPO of the year, and the first so-called unicorn startup with a private valuation of $1 billion to go public so far in 2016. Investors will be reading the tea leaves. Twilio is offering 10 million shares for sale in this IPO, meaning that it’s raised $150 million. Twilio has also granted the offering underwriters the option to buy up to 1.5 million additional shares in the next 30 days, which could net the company another $22.5 million. 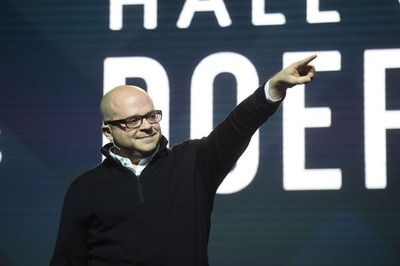 Founded in 2008, Twilio has raised $233 million in venture capital in its lifetime, from investors including Salesforce Ventures, Amazon, and Chris Sacca’s Lowercase Capital. Twilio had most recently raised $130 million at $11.31 a share in a July 2015 round led by T. Rowe Price. Companies like Uber and Nordstrom rely on Twilio’s service to send text messages and make automated phone calls to customers.